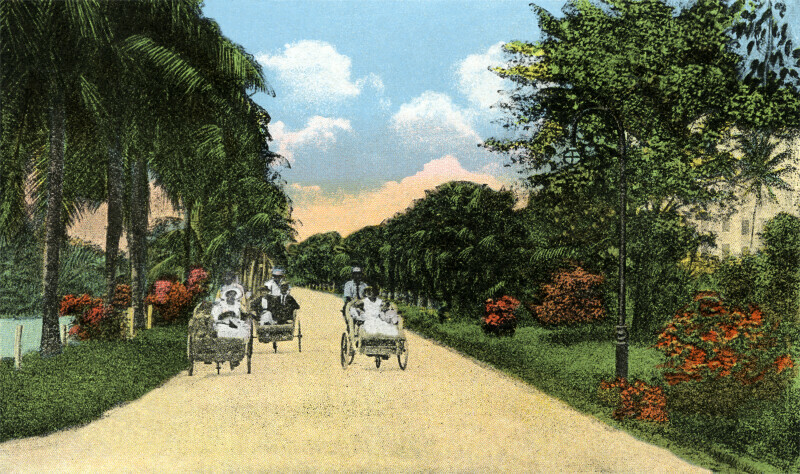 This scene shows a few bicycle chairs driving along the paved Promenade, on the grounds of the Royal Poinciana Hotel. Both sides of the trail are lined with palm trees. There are also decorative shrubs and deciduous trees growing in the area.